For the first time in 14 years teachers and principals are looking at a three-hour work stoppage on August 15, and are discussing whether to extend the strike to a full day. During a school visit in South Auckland today, Education Minister Nikki Kaye elaborated more on funding for Māori language and kura management from Budget 2017. New Zealand's premier charity rally, now in its 27th year, will return to Te Tai Tokerau this month. Kadimah School in Auckland is the only Jewish kura in the country. It’s embraced te reo Māori for more than 40 years and has a new generation of Jewish-Māori ‘He-bros’ eager to learn te reo and their treasured Jewish culture. Minister of Education Hekia Parata says the use of seclusion rooms in schools is unacceptable but Green Party MP Catherine Delahunty has asked why they're still being used to manage student behaviour. Native Affairs visits the only Jewish kura in the country. 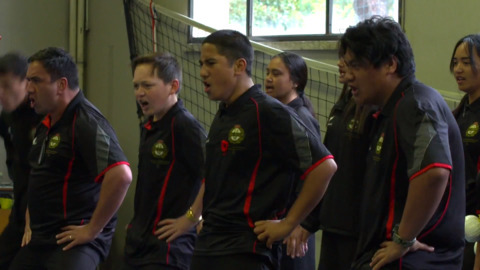 Kadimah school in Auckland has embraced te reo me ona tikanga for more than 40 years. But now, it's a new generation of students called the 'He-Bro' who are carrying the mantle. Ōrākei Marae are in preparation for the tangihanga of leading academic and Māori activist Dr Ranginui Walker.